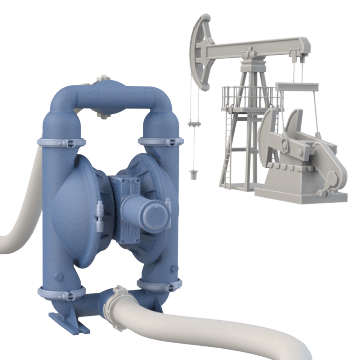 For use when electricity is not available in remote worksites to drive a pump, these pumps are CSA certified for operation using sweet or sour natural gas. They are commonly used in oil and gas fields where natural gas is readily available. Pumps are fully groundable, helping to prevent static discharge, and are compliant with NACE Standard MR0175/ISO15156.